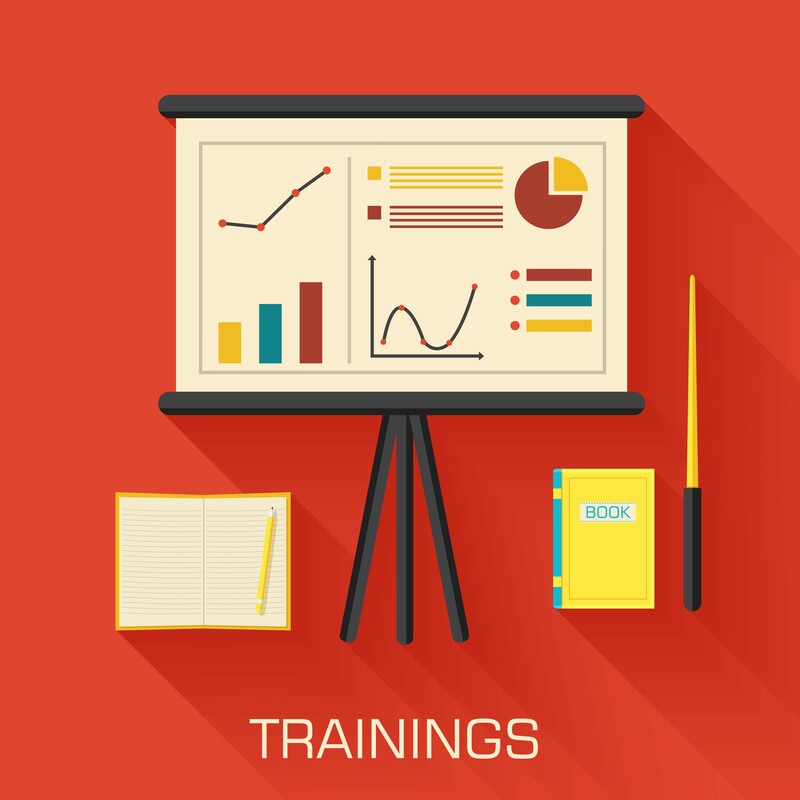 Can School Attorneys Legally Attend IEP Team Meetings? 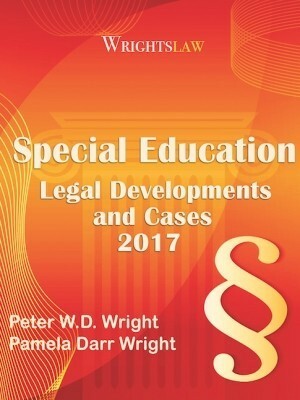 Pete and Pam Wright were adjunct professors at William & Mary Law School where they co-taught a Special Education Law class and consulted with the PELE Special Education Advocacy Clinic. Clinic students assist children with special needs and their families with eligibility or Individualized Education Program meetings, discipline matters, mediation, and administrative hearings. Jeff found information that supported his position that, in general, parent and school attorneys should not attend IEP meetings. A Policy Letter from the U.S. Department of Education to Senator Hillary Senator supported his position. Jeff’s Memorandum includes an Action Plan for PELE Clinic to use when dealing with school attorneys at IEP meetings. 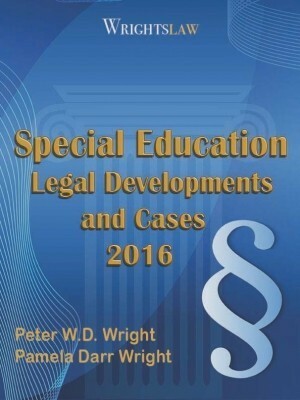 This entry was posted in Advocacy, Attorneys, Eligibility, FAPE, IEPs, Law School, Strategies and tagged Attorney Roles, IEP Meeetings, IEP Team Members, Jeff Martin, Law Clinic, parent participation, PELE Special Education Clinic by Wrightslaw. Bookmark the permalink. Its not a meeting when the lawyer scripts out everything and goes into a monologue dictating terms just to say that a meeting did happen. The slandering of your character when you object to such treatment is typical of their training. My parent was asked to meet with my IEP teacher so that they could discuss a few changes to my altered ed plan. When she got there she was told by the teacher that ‘they’ were meeting in the conference room, when she thought she was just meeting with the IEP teacher. She found all of the Special Education teachers, the principal, someone from the school district body and a compliance officer there, who all basically told her that my other health impairment was no longer valid, all of my altered ed plans were no longer going to be accommodated and so forth. 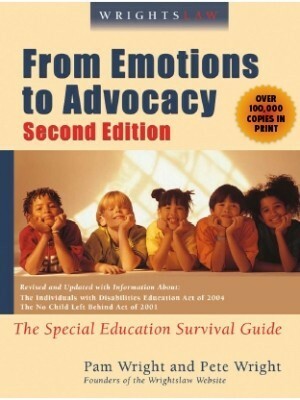 We actually gave them documentation of my disabilities and alterations to my education plan, and were assured that everything was valid at the beginning of the year by the same Special Ed teacher that is now trying to drop the Ed pan. When she asked about why my OHI was no longer valid, she was told that they had absolutely no recent documentation that would ensure that I was valid for an OHI, and that they could not imagine there could be any reason for that since I am such a high functionality student. (I have gotten nothing but A’s and B+’s since my IEP was implemented, up from my original C’s and D’s, and I have above a 3.7 GPA) She could go and try and get new documentation, but I think she feels intimidated. 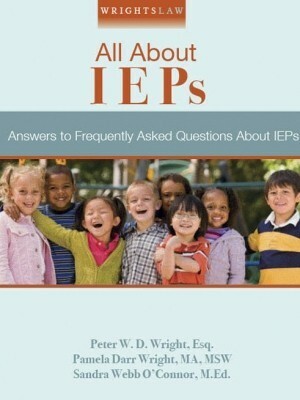 Hi could you please tell me if there are any IEP Attorneys in West Bloomfield, Michigan. My daughter is being miss treated by some of her teachers in her school. Thank you. Our case against our school district on behalf of our son with autism is now in Federal court. Our district began bringing a “compliance officer” to IEP meetings as soon as it was known that we were parents who were proactively involved in our son’s education. The “compliance officer” is an attorney, with the license, knowledge, and experience of an attorney, but who is allowed to attend IEP meetings because she “is not working on behalf of the district as an attorney…she is a “compliance officer”. Yet she routinely negotiates legally at IEP meetings (as well as the resolution meeting) in the role as an attorney for the district. Please, Wrightslaw, tell me if this is legal!! No lawyers should be involved unless the IEP goes to fair hearing! the IEP needs to be a work in progress whereby BOTH parties MUST uphold their end of the bargain in implementing educational goals. They MUST work together! Lawyers on both sides get in the way! REMEMBER, it is about the child NOT about the district or the parent! This always seems to get lost in the contest between the two…who is going to get the most out of the other, especially in the high school setting where the buck stops! 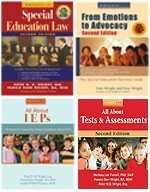 Too many times the child and parent as well as the district have not pushed the child hard enough to achieve because none were truly held accountable and finally graduation is around the corner and the student is not ready to graduate, to transition to REAL life and it all gets dumped in an iep at the high school. NICE! Follow up question, what if the attorney is really the child’s uncle who has a vested interest in the child and his/her success rather than that of an attorney? My child’s school cancelled a meeting because I asked for my brother to attend. His presence would not have been as an attorney, nor is my brother an educational attorney. Interesting! I had my attorney present at the last few meetings where we established the BP and placement for my son. I felt it was a must at that point as we were “this far” from a lawsuit. I let the school know my attorney would be present, and so of course they have theirs present as well. I didn’t mind one bit – in fact I welcomed it because they’d dug themselves in such a hole that their attorney could only agree with us – so in the end it was like having my attorney and theirs too in a “buy one get one free” deal. Sadly, I believe our family has reached this point where we had to seek legal counsel and preparing for our attorney to be present at any future meetings. The district my daughter attends did so much underhand work it’s not funny. I believe if they brought their attorney we would get in on the buy one get one free deal too. I went through 6 meetings. the school wanted me to change my child who has medical condition I told them no and now I have good lawyer who is willing to help me with her and the school have not done anything to help me. even a school nurse forgot to give my baby her meds and this Friday my baby got home with her leg all swollen to find out the school did not pay no attention to her. but what I did stay clam and give it time. but now I done refuse to even sight paper work. I live dallas it worse over here they done this to a lot kids not just mine. Rene yes bringing an attorney would be a good idea. We find ourselves now in this situation. Our son who has autism and is OHI has been in a private placement, and he has finally made progress. The school district refuses to accept the IEE report we paid for due to some misspellings, they said. the IEE showed progress in critical areas (reading, writing, math) He came up to almost grade level in a critical area of math up from the 0.2 percentile. We want them to continue to fund private placement. The refuse to accept the outside eval and are refusing to re-eval unless we consent to a Wechler’s! We informed we are bringing an advocate to the reconvene – the educational specialist who tested our son and who has known him for five years. They now say if we bring the advocate, they are bringing their lawyer. Should we then bring our son’s lawyer too? I need to understand one thing.. Can the parent refuse the attorney attendance for an IEP meeting as long as the parent will not have one?? If yes, what is the process to do that?? School systems in mostly rural areas know that many parents are ignorant and cannot afford an attorney . Other parents are up on the laws in I.E.P. and it depends on the money factor. parents and will retaliate by using every means possible. Just want no accountability and the resources of parents in poverty are scarce. are like night and day. I just learned the hard way that school districts (and NOT the attorneys who do their bidding) will do anything they possibly can to circumvent their federal obligations under IDEA with absolute disregard for the welfare of your child. (I will stress that this does not apply to well-meaning teachers whose best intentions are so often silenced in the interests of the bureaucracy.) Take a used car salesman, subtract any remaining faint notions of decency and moral responsibility, add a dash of child abuser, and there you have the administrators to whom we entrust the futures of the children they are paid to protect. Do not turn your back on these people. Ever. How about a school attorney representing a conflict of interest because my tax dollars pay their salary? “Disadvantaged” is a relative term! In most IEP meetings I attend, school reps outnumber parents by about 6 to 1. Amazingly, the administrators do not seem to be too concerned. I’m often reminded of the scene in “It’s a Wonderful Life,” when George Bailey is seated two feet lower than Potter! Have you thought about just giving notice in the future so that they can bring an attorney? I was asked to leave my niece’s IEP meeting because I am an attorney. Although I stated I was there in the capacity of her aunt, as well as a licensed educator, I was told that the meeting would be cancelled because the District Representative felt “disadvantaged” because she was not present with an attorney. I left the meeting but somehow, I don’t think this is fair. Hi! I have repeatedly requested that our son attend his own I.E.P. meeting which they have refused to allow him to attend even for a brief time. Does he have the right to attend his own meeting if he understands what is going on?? I think what is being misunderstood here is that the school district attorney (1) will typically not attend an IEP meeting unless the parents have indicated that they intend to bring their attorney to the meeting, and (2) no attorney – whether for the school district or for the parent – is considered a member of the team. The school district attorney is just that … legal counsel to the school district re: compliance with IDEA … and cannot be cross-examined at a due process hearing. I am saddened to see that so many parents misunderstand the attorney’s role. We are not educational decisionmakers in any way shape or form! As for two attorneys at one meeting, when I was starting out in the practice I would attend meetings with my boss as a learning experience … and the school district would not get charged for my time . 1. As a NJ resident, I have recommended to parents to quiz the district’s attorney as to his/her knowledge of the child. If they don’t have the knowledge, then either request they be barred from the meeting or make no statements specific to the child, only on points of law. 2. Also, give the district notice that you will be tape recording the meeting especially if they are bringing an attorney. I suggest those of you with an attorney attending an IEP meeting who would be subject to cross-examination look into the ethics rules where you live. 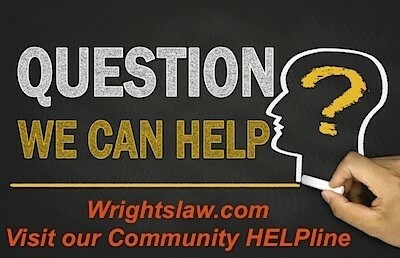 Where I live an attorney cannot represent a client if s/he could be called to testify as a witness, and if they are violating this rule they are subjecting themselves to a complaint filed with the bar. If this is the case in your state perhaps this little fact might give that attorney some pause. Our district passes off an outside contractor lawyer as a compliance officer and we ended up at an IEP without representation as we were unaware she was an attorney. We were not sure what this was until we began advocating for our son. 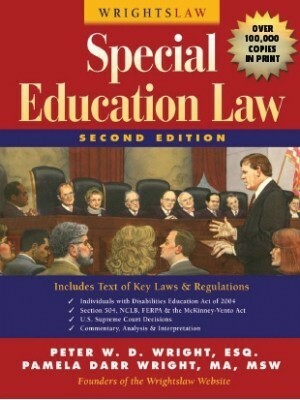 Under 34 CFR §300.503(a), the school district must give you a written notice (information received in writing), whenever the school district: (1) Proposes to begin or change the identification, evaluation, or educational placement of your child or the provision of a free appropriate public education (FAPE) to your child; or (2) Refuses to begin or change the identification, evaluation, or educational placement of your child or the provision of FAPE to your child. The required content under 34 CFR §300.503(b) is listed below in this model form. The school district must provide the notice in understandable language (34 CFR §300.503(c)). For someone to be at the IEP meeting, they must appear on the prior written notice of the meeting (the invitation). This rule applies for BOTH parent and school. So what do you do if someone is on the invitation for the meeting that you do not approve of? Contact the school immediately and request information about why that person needs to be at the meeting. If necessary, tell them you will not accept that person being at the meeting. Legally the meeting cannot occur until a compromise is reached either informally or via due process. The same is true for bringing an extra person to the meeting. If he or she was not on the invite, both parties must agree that person may attend. If one side does not agree that person MUST leave. This is why prior written notice is so crucial. If it is vague or unclear question it BEFORE THE MEETING. It is mind boggling that even with the IDEA and attorney ethics, school attorneys who posses knowledge of a school district actively denying a child a FAPE and other questionable practices, how they even have an “Option” to protect the school district at the expense of the child. There has to be a way for the IDEA to actually protect the rights of our kids……. I agree that they should be able to be cross examined, etc. in a due process hearing. In our situation they sign their name to the IEP just as every other member of the team. Are they not then a part of the team? I agree that attorneys attending IEP meetings should be subject to subpoena and cross examination in subsequent due process hearings. If they want to attend under the premise of being an “individual with special knowledge or expertise regarding the child”, then they should be required to share that knowledge with the parents if the parents request it. They are no different than any other IEP Team member then who would be required to testify. This is very interesting. Our school district in SC often brings at least two attorneys to any given IEP meeting. At one IEP meeting, only one attorney was listed on the invitation. The second attorney not only had no knowledge of my child’s diagnosis, history, or programs offered, but also blatantly misquoted the law to us. We did correctly state the law and our rights, as learned through Wright’s Law, but with an IEP team depending on being given factual information by district lawyers and not knowing the law themselves, it made it very difficult for us to advocate for our son. The attorneys did send a letter stating that we had been correct in the meeting – but this was outside of the meeting and after the fact. In a district that claims to have no money, how can $200,000.00 + be spent a year by one district on attorney fees? 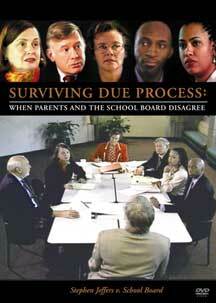 Can a parent who has filed due process be forbidden to attend an IEP for another student as a support to the parent ? This person has a child with the same diagnosis as the child that the IEP is for, and personally knows the family. At the advice of the school’s attorney, the IEP is rescheduled until the attorney checks with the State Department of Education to see if there are regs that prohibit this person from attending the IEP meeting. Based on information on the State Department of Education, South Carolina, spent over $6,000,000.00 on attorney fees in 2008. 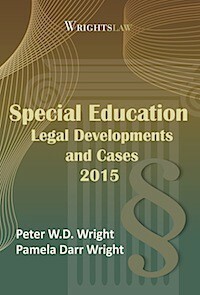 I realize that all of this is not for special education cases but a portion of it is. Based on the IDEA act, any program or “service” proposed by a public school district must offer an educational improvement for the child; yet, our public schools are allowed to allocate funds (that have to be taken from special education and education funds), to pay their attorneys. I can only speak from our personal experience. In 2008 alone, our school district spent nearly $300,000.00 in legal fees. The school district brought attorneys to regular IEP meetings during this time. 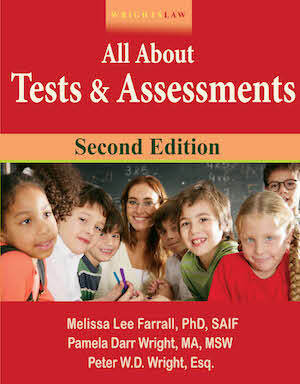 The same school district provided 0% academic instruction for my child since 2004 and up until 2008. This should be a violation of the IDEA. My son’s school district began bringing their attorney to IEP meetings following an incident where my son was assaulted by staff. The Director of Special services informed us that the attoney was there to “answer any legal questions the parents may have”. We had no choice but to eventually bring an attorney to represent my son’s legal rights. The school frequently lists one attorney on the invitation but brings two. We are told that “they do not have to disclose the number of attorneys they bring”. These attorneys actively misrepresent laws and safeguards. ie.”New legislation has passed and Power of Attorney is no longer recognized by the school district as a legal document”. The minutes even captured this “New Legislation”. POA is only recognized for life/death and financial decisions.